TAMIFLU is indicated for the treatment of uncomplicated acute illness due to influenza infection in patients 1 year and older who have been symptomatic for no more than 2 days. TAMIFLU is indicated for prophylaxis of influenza in patients 1 year and older. TAMIFLU is not a substitute for early and annual influenza vaccination. There is no evidence for efficacy against any illness caused by agents other than influenza types A and B. Treatment efficacy in subjects with chronic cardiac and/or respiratory disease has not been established. No difference in the incidence of complications was observed between the treatment and placebo groups in this population. No information is available regarding treatment of influenza in patients at imminent risk of requiring hospitalization. Efficacy of TAMIFLU has not been established in immunocompromised patients. Safety and efficacy of repeated treatment or prophylaxis courses have not been studied. Influenza can be associated with a variety of neurologic and behavioral symptoms, which can include events such as hallucinations, delirium and abnormal behavior, in some cases resulting in fatal outcomes. These events may occur in the setting of encephalitis or encephalopathy but can occur without obvious severe disease. There have been postmarketing reports (mostly from Japan) of delirium and abnormal behavior leading to injury, and in some cases resulting in fatal outcomes, in patients with influenza who were receiving TAMIFLU. Because these events were reported voluntarily during clinical practice, estimates of frequency cannot be made but they appear to be uncommon based on TAMIFLU usage data. These events were reported primarily among pediatric patients and often had an abrupt onset and rapid resolution. The contribution of TAMIFLU to these events has not been established. Patients with influenza should be closely monitored for signs of abnormal behavior. If neuropsychiatric symptoms occur, the risks and benefits of continuing treatment should be evaluated for each patient. 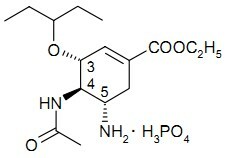 In postmarketing experience, rare cases of anaphylaxis and serious skin reactions, including toxic epidermal necrolysis, Stevens-Johnson syndrome and erythema multiforme, have been reported with TAMIFLU. •Treatment of adult and pediatric patients �C nausea, vomiting. •Prophylaxis of adult and pediatric patients �C nausea, vomiting, abdominal pain. Vaccination is considered the first line of defense against influenza. 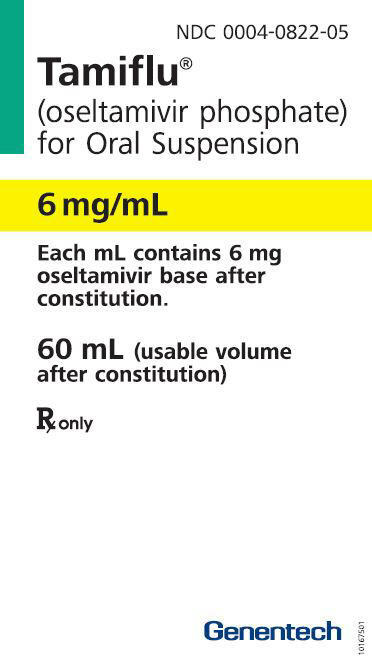 TAMIFLU is indicated for prophylaxis of influenza patients 1 year and older. TAMIFLU is not a substitute for early and annual vaccination. Track the flu. Help protect your patients by knowing when influenza is in your area.